Gas is relatively cheap these days. 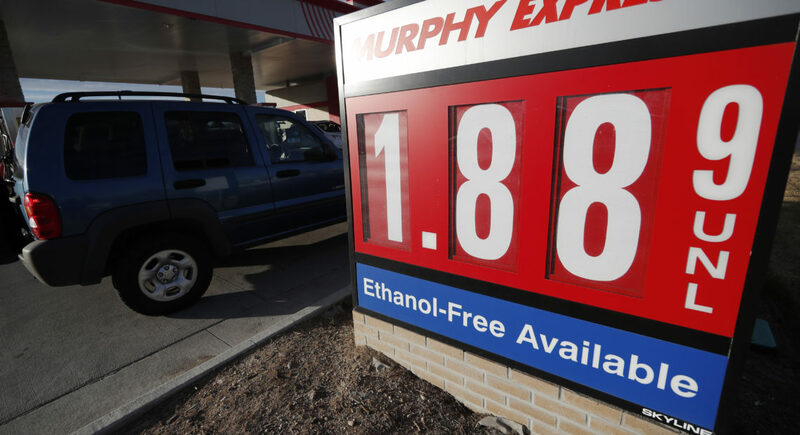 Enjoy those low prices, but don’t get used to them, analysts say. It’s welcome news for drivers. Just last summer, gas prices were at four-year highs. But recently, at a Costco gas station in Washington, D.C., Sylvie Tiadem was delighted that it cost her only $26 to fill up. “Oh, my goodness!” she said. That’s down from the nearly $40 it cost her when gas prices were higher. “Expenses are growing everywhere, but when one goes down, I’m happy,” Tiadem said. Gas prices vary across the country. They’re cheaper in the South and pricier in the West, according to AAA’s data. But in general, drivers like Tiadem have been happy for months now. 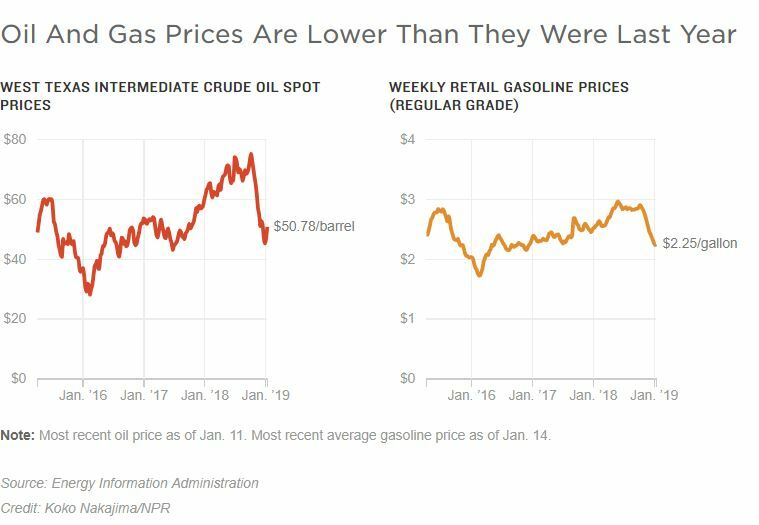 Multiple factors affect the price of gasoline — primarily taxes, distribution, refining and the price of crude oil, the raw material used to make gas. In this case, the reason for the price drop is clear: It’s driven by a drop in the price of oil, says Kelsey Hallahan, a petroleum markets analyst with the Energy Information Administration. American suppliers, meanwhile, kept pumping out more and more oil, particularly over the past three years. Oil prices were high enough that it was worthwhile to extract oil that’s difficult and expensive to get out of the ground, Hallahan says. “U.S. producers have been incredibly resilient in the face of low oil prices, and we think that they’re going to continue to be resilient in the next year and we’re going to continue to see U.S. production grow,” she says. But the resulting drop in gas prices makes consumers happy. It means more money directly in more people’s pockets — and the difference is particularly significant for those considered middle class and low income, who plunk down a larger chunk of their disposable income on fuel costs. But don’t count on gas prices staying low. Oil prices have started to rise again. OPEC and Russia are planning to curb production to get prices higher.